As a result of increased immigration since the early 1970s, vallenato tropical has become popular in New York City's Colombian neighborhoods located in Jackson Heights, East Elmhurst, Corona, and Astoria as well as sections of Brooklyn and neighboring New Jersey. Nonetheless, there is mounting evidence that in addition to commercial forms of vallenato, new experimental styles are emerging in Colombian diasporic communities. In his popular son vallenata "Con la Misma Fuerza," Emiliano Zuleta Baquero (1912-2005), the renowned patriarch of the Zuleta family dynasty, presents the perspective of a man whose persistent and powerful love for a woman is not only redoubtable but also a brash expression of his cockiness.4 In the song's third verse, an "old man" of fifty-nine years emphatically declaims his still robust health, affirming his ability to compete on acordeón, throw down brilliant verses, and sexually satisfy his woman. His refusal to yield to time, his greatest adversary, and his unquenchable love for "Carmen Diaz" that drives his life, are evident in the song's machismo lyric—arguably vallenato's signature feature. The elder Zuleta's powerful sense of determination, pride, and passion are also apparent in the work of his great-grandnephew, Alejandro Zuleta. The young pianist, composer, and arranger continues the family's legacy and commitment to vallenato in New York. 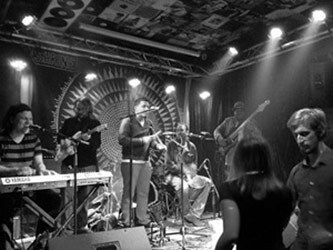 His strategic identification with the Zuleta lineage, in fact, seeks to maintain vallenato's parrandaaesthetics and its poetic foundation as symbols of Colombian identity.5 Zuleta's band, the Vallenato Collective, performs regularly throughout the city in venues such as Barbés in Brooklyn, La Terraza in Queens, and The Shrine in Manhattan. Despite his advocacy for vallenato's preservation, Zuleta's substitution of the genre's traditionally central instrument—the diatonic button acordeón—with electronic piano, provides a glimpse of the changes and challenges young vallenato artists face in New York today. In breaking with vallenato's standard ensemble configuration, Zuleta's approach raises questions that perpetuate ongoing debates about authenticity, innovation, and the preservation of tradition. As a result, the Vallenato Collective is somewhat controversial, and although his vision seeks to expand upon standard musical trademarks of traditional vallenato as exelimpified by the Zuletas, his methods are indicative of the genre's musical, social, and cultural malleability. 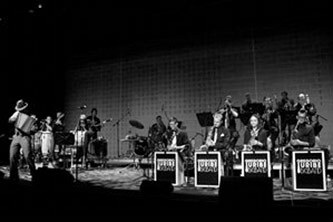 Gregorio Uribe Big Band - "CARIBE CONTIGO"
Another young bandleader from Bogotá who relocated in New York, accordionist Gregorio Uribe, also conducts experiments with vallenato, but with an entirely different orientation. Uribe adapts the tropical school of vallenato to a big band dance format. While he adheres to musical practices aligned more with the Colombian costeño dance bands of the 1940s and 1950s that specialized in cumbia, his formal musical education at the Berklee School of Music clearly influences the dynamic, modern direction that his big band project is undertaking.6 As with Zuleta, Uribe reconfigures vallenato tradition, leaning toward experimentation and innovation, particularly with respect to the band's orchestrations and arrangements. And yet, with or without the diatonic button accordion, tradition and modernity are inextricably linked. Uribe and Zuleta are part of a recent wave of Nueva Música Colombiana (NMC) or "Colombia Nova,"7 the transnational movement of young Colombian musicians entering global centers with proposals for new music which draw from the rich cultural heritage of Colombian music. In order to understand these recent trends in New York's vallenato scene, it is useful to consider the music's development over the past thirty years. With vallenato's increasing fame and notoriety during the 1980s and 1990s, due in part to the music's association with Colombia's booming drug trade, the incipient commercial vallenato music industry moved beyond national borders into the diaspora. In New York the music was well received by growing numbers of new Colombian arrivals. On the one hand, there were highly regarded professional vallenateros, such as Lisandro Meza, who migrated to New York in an attempt to establish a career, only to return to Colombia. On the other hand, semi-professional musicians such as Eugenio Ortega y Los Macondos, a group from Long Island, were presented as authentic carriers of traditional vallenato folklore by cultural organizations such as the Center for Traditional Music and Dance. Los Macondos, which included two of Ortega's sons, had a somewhat amateur style of vallenato performance, but for Colombian and non-Colombian audiences alike, the group seemed to have a sufficient modicum of vallenato roots authenticity. In any case, Los Macondos certainly stood outside of the commercial sphere.8 Vallenato in New York City, in fact, has always had multiple and parallel trajectories, one auténtico (authentic) and one comercial (commercial), each with varying degrees of either folkoric and/or modern attributes. By the 1990s, vallenato was well ensconced in the city, with several groups including Kadenas, J and V Mix (Jíbaros y Vallenatos), Esencia Vallenato, La Fuerza Vallenata, and Impacto Vallenato playing regularly at clubs including S.O.B.s, Chibcha, and Satalla, the so-called "Temple of World Music." Local acordeonistas Dr. Ben Gary Harvey (of Kadenas) and Harold Rodriguez (of J and V Mix) even provided moments of virtuosic brilliance. In fact, vallenato proliferated to such an extent that during the 1990s, a local but short-lived vallenato competition was started in Queens. 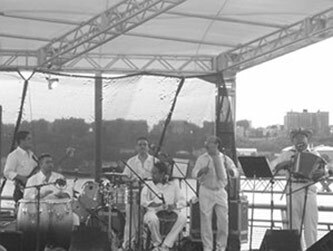 Presently, the stalwart Foncho Castellar y sus Alegres remains the longest running active vallenato band in New York, playing cumbia and vallenato in the older Baranquillerostyle. Other older groups led by Jorge Meza, Yumbel Donado Jr. and Pedrito Rogers continue to perform regularly in similar fashion. Younger groups however, such as Union de Oro, with singer Jhon Morales and ‘El Papi' Rodriguez on accordion, and La Compañia Vallenata, with Roberto Camacho on vocals and Juan Carlos Castellar's accordion, prefer to follow the mainstream vallenato model. Interestingly, singer-accordion pairings seem to thrive particularly in the Paterson, New Jersey area, where Roberto Carlo Toncel and Jesualdo Borrego, for example, emulate popular vallenato artists such as Felipe Peláez and Manuel Julián, Peter Manjarres, and Silvestre Dangon—the current romantic pop stars. The artistic focus, then, for many of these young artists lies in the shift to the centrality of the voice; that is, singing has become the prominent marker of what is regarded traditional, at least in the urban space. There have also been significant changes with respect to clubs and venues where vallenato is performed in New York. WKCR radio host Sadys Espitia notes: "with the sale of Chibcha Night Club and [the] closure of Melao [and Satalla] ... [today] most groups tend to play in smaller venues in Queens like Tantra Lounge or Terraza 7 ... bigger clubs like LaBoom seem to just bring in recognized vallenato and salsa groups from Colombia. "9 Whereas in the 1990s several small clubs and bars along Roosevelt Avenue provided opportunities for local amateurs to play, these are rather uncommon today. A few restaurants, such as El Fogon Costeño, in Queens, continue to have "Vallenato Sundays," however these too are rare. And yet, in spite of diminishing local spots, Espitia's remarks nonetheless provide evidence of the constant transnational flow of vallenato music and musicians between New York and Colombia. This history reveals that vallenato in New York is not a new phenomenon. The recent emergence of artists such as Gregorio Uribe and Alejo Zuleta signal transformations taking place within the genre in terms of local performance content, context, and production. Uribe stakes a claim for dance floorcumbiambas while Zuleta emphasizes the melodic narratives of the parrandas. Yet both artists blend traditional practices and older conventions with cosmopolitan and urban sensibilities. For example, the percussion instruments that supply vallenato's rhythmic underpinning and drive—caja andguacharaca—remain front and center in Zuleta's Vallenato Collective. Yet the band's harmonic range is wider, with expanded chord voicings that differ from those of vallenato's standard harmonic I – V patterns. Zuleta's insertion of electric piano in a man- ner that uses methods of jazz improvisation is particularly original, although problematic for some listeners who prefer the traditional diatonic button accordion. Afro-Colombian bassist Diego Obregón, a talented multi-instrumentalist hailing from Colombia's Pacific coast, contributes syncopated, swinging bass lines that differ from the contrapuntal, staccato bass lines heard typically in vallenato tropical. Meanwhile guitarists Sebastián Cruz and Alejandro Florez further compliment the Vallenato Collective by playing extended melodic lines that are interwoven through the piano's harmonic progressions. How then does Uribe achieve the modern "funkiness" that he strives for? One method is by highlighting harmonic modes (lydian, mixolydian, dorian), which as he notes, "are found on some traditional tunes." In addition, Uribe's arrangements generally borrow from big band jazz scoring methods—that is, with section writing using intervals of fourths, widely spread harmonies, and orchestral tensions and releases created through carefully applied timbres and dynamics. Charismatically fronting his big band on both vocals and vallenato accordion, Uribe highlights bombastic big band arrangements of compositions based on earlier iterations of Colombian música costeña.15 He recasts vallenato through smooth pop vocals, swinging modern big band scoring, jazz soloing, use of traditional and modern percussion instruments, and the ever-present, ornamental accordion flourishes, which, in this case, link vallenato tradition with its experimental modern variants. Over the past three decades vallenato has increasingly become woven into New York's contemporary global soundscape. Along with Mexican corrido singers, Chinese erhu fiddlers, West Indian steel-pan drummers, and Senegalese kora players, you might find yourself listening to the Tapiero brothers playing classic vallenatos of Rafael Escalona, Alejo Duran, or the Zuletas, as they busk their way through NYC subways. Or, in a Lower East Side club you might encounter Alejandro Zuleta's most recent project, Gate 4, which presses the outer limits of vallenato experimentation even further. Traditional genres provide new avenues for individual creativity. Vallenato's varied pathways are evident in New York and highlight the genre's pivoting gateway as artists enter and engage in transcultural and intercultural musical exchanges that continue the transformation of tradition and modern vallenato performance practice. 1 The title of this essay refers to Francois Truffaut's nouvelle vague gangster film Shoot the Piano Player(1960), described as part thriller, part comedy, part tragedy. The film relates the adventures of mild-mannered piano player Charlie (Charles Aznavour) as he stumbles into a criminal underworld and a whirlwind love affair (http://www.criterion.com/films/764-shoot-the-piano-player, accessed 15 September 2013). This essay is excerpted from a work in progress by the author. 2 Vallenato can be grouped into three main stylistic categories, each associated with a distinct area:vallenato-negroid (black vallenato, or Afro-Caribbean), vallenato-ribereiño (river valleys vallenato, or sabaneros/savannahs) and vallenato-vallenato (central vallenato) from the towns and valleys located near Valle de Upar (or Valledupar), the so-called birthplace of the style. See Tomás Darío Gutierrez Hinojosa,Cultura vallenata: Origen, teoría y pruebas (Santa Fé de Bogotá: Plaza & Janes, 1992), for data about the "origins" of vallenato, including interviews of musicians and songwriters from important vallenato families. 3 Former telenovela actor and musician Carlos Vives is often credited for vallenato's popularization. Vives' brand of vallenato, while still popular, is generally aligned with rock and pop. More recently it has been bypassed in favor of vallenato tropical, currently the mainstream favorite associated with singers like Jorge Celedón. 4 The object of Zuleta's affection is Carmen Diaz from Villanueva, a small costeño town near Valledupar. Emiliano Zuleta is renowned for writing vallenatos, including the classic "La gota fría," "Carmen Díaz," "El indio Manuel María," "El regreso de Carmen," "Mis hijos," "La enfermedad de Emiliano," and "Villanueva." 5 In the vallenato universe, the Zuletas are renowned for their songwriting, lyrical invention, powerful vocals, intensely emotional performances, and close adherence to vallenato's stylistic musical features. In addition to the elder Emiliano Zuleta, Poncho, Ivan, and Emiro Zuleta (Alejandro's father) perpetuate traditional vallenato song texts and poetics as well as the general forms and structures that define the genre. See Jorge Arévalo Mateus, "The Colombian Costeño Musicians of the New York Metropolitan Region: A Manifestation of Urban Vallenato" (M.A. Thesis, Hunter College, CUNY, 1998). Parrandas are informal socio-musical gatherings where sung and improvised verses, including coplas/couplets and décimas, are performed in a kind of duel or competition known as piquerías. Parrandas can also refer to the festive atmosphere of the gatherings. 6 Both Zuleta and Uribe are trained musicians from Bogotá, with formal music education backgrounds. Uribe majored in percussion and jazz arranging at Berklee College of Music in Boston. Zuleta holds an M.M. from New York Universtiy where he studied jazz with Ralph Alessi, composition with Gil Goldstein, and film scoring with Mark Suozzo. He holds a B.A in music composition from Universidad Javeriana. (http://www.alejandrozuletamusic.com/bio/, accessed 19 October 2013). 7 The term "Colombia Nova" was coined by Sadys Rodrigo Espitia, the host of WKCR's Sonidos Colombianosweekly radio broadcast (89.9 FM, Columbia University) and an amateur vallenato acordeonista. 8 For more on Los Macondos and vallenato's introduction to New York in the late 1970s-early 1980s, see Arévalo Mateus (1998). 9 Sadys Espitia, Jr., interview with author, 13 October 2013. 10 Alejandro Zuleta, interview with author, 2 October 2013. 11 In addition to yearly winners of the crown, every ten years a King of Kings is chosen from among the winners of the preceding decade. The selected artist is awarded with La Pilonera Mayor prize, the highest possible award for a vallenato musician (http://www.colombia.travel, accessed 26 October 2013). 12 Quoted from Uribe's Facebook events promotion page (https://www.facebook.com/events/653285164702434/, accessed 5 November 2013). 13 Desi Arnaz's television orchestra was in residence at the fictitious yet aptly named Tropicana Club of the I Love Lucy show. 14 Gregorio Uribe, interview with author, 5 November 2013. 15 Música costeña is also known as "música tropical." See Peter Wade, Music, Race, and Nation, Música Tropical in Colombia (University of Chicago Press, 2000).